I love working at the museum. It is really neat knowing that my efforts play a role in making it easier to access a piece of history every time I catalog another object (by the way, Jodi and I cataloged 261 objects in June!). But, one of the perks that I had the opportunity of experiencing recently was going to another museum in town. During work (ridiculous, right?). 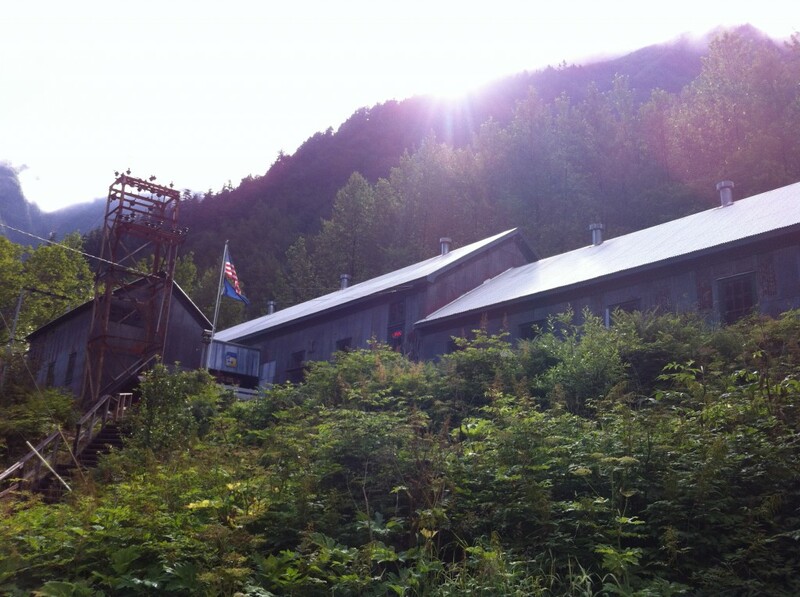 Jodi and I headed up the road to the Last Chance Mining Museum, a museum tucked behind Juneau in a rugged, but still very scenic, mountain valley. The Last Chance Mining Museum is the only historic mining building, from Juneau’s Gold Rush era, open to the public. 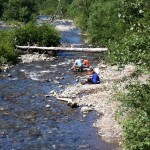 Lucky for us, it was a beautiful sunny day so we could also see people panning for gold at Gold Creek! 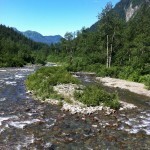 You are probably starting to believe that I don’t really work, that it is all play. It may seem that way (especially since the past 8 weeks have already gone by and I have no idea where those days went). 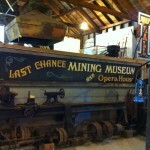 But, I did learn how to inventory the artifacts that the city museum has on loan at the Last Chance Mining Museum. 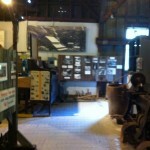 It was also interesting to see how a museum with a different philosophy from ours operates. 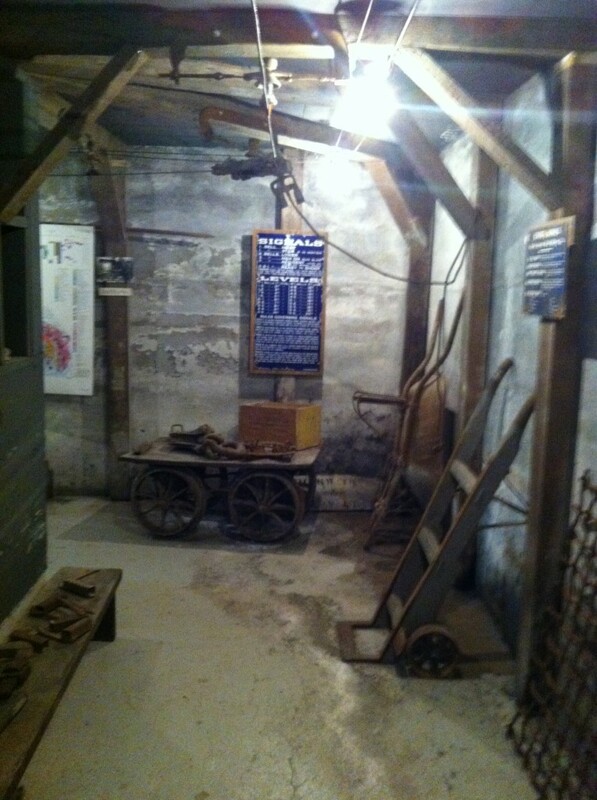 The most notable dissimilarity is that the Last Chance Mining Museum is a hands-on museum that has most of the objects (some very, very old) out for viewing or touching without display cases. It is unlike any other museum I had encountered until that point. However, I like knowing that visitors get to interact with objects that might have been just sitting in storage at the city museum otherwise. It is great being able to see that (some very) large objects—such as the world’s largest Ingersoll Rand air compressor!— can be on display at a facility with the room to house them. That mine shaft looks scary! I really like those old tools. They are very cool. Touching them would be nice. 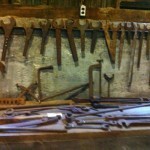 My paternal grandfather passed down a lot of tools. Old stuff is great!